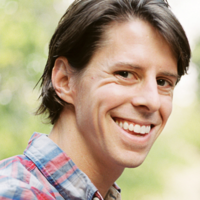 When Kibin (rhymes with "gibbon") founder Travis Biziorek was applying to law school in 2011, he realized that his profile was, in his words, "kind of a mess." He knew what he wanted to say, but couldn't quite get there. He turned to family and friends, but they lacked the expertise to provide critical feedback, and when he looked for help online, it wasn't much better. Travis realized that there were probably thousands of students looking for the same level of expert feedback and editing, so he switched gears and created Kibin to fill this niche. The service has come a long way, and today's Kibin focuses on giving students an extra helping hand that takes their writing from ordinary to amazing. With a top-tier editing service of experienced editors, a massive examples library of over 500,000 essays (and counting), and a blog dedicated to the most common assignments and writing issues students face, Kibin is committed to empowering every student to become a better writer! Team Kibin consists of 6 employees handling day-to-day operations and a large, global network of freelance editors, making us an iceberg of an organization. With team members located worldwide, we're able to handle customer requests at all hours of the day and night. Ultimately, our goal is to meet you wherever you are in the writing process by helping you brainstorm more effectively, learn by example, and get the expert feedback you need to improve your grades and your writing skills. Whether you're stuck on a high school essay, perfecting your personal statement for your dream school, struggling with your dissertation in a graduate program, or polishing your cover letter for your first real-world job, we're dedicated to your success and offer writing help at every step. Join the thousands of other students who are using Kibin, and take the stress out of writing! Travis earned a BA in Economics with a minor in Biochemistry from St. Mary's College of California. After several years playing professional poker, trading foreign currency at a Chicago hedge fund, and working in management consulting, he decided it was time to try his hand at entrepreneurship. Travis' diverse background made him a great early Kibin editor. Now that Kibin's editing quality has far exceeded his abilities, Travis spends most of his time planning the company's future. When he's not working, he's likely spending time with his family and beloved miniature goldendoodle, Pippa, trading financial markets, or reading a book. Jim studied for his BS in Computer Science at San Jose State University. After college, he spent many years working for large companies such as Novell, Sony Electronics, Bank of America, and Thompson-Reuters. After being approached by Travis with the idea of Kibin, he jumped right in and has been working on it ever since. His role addresses technical challenges that arise from Kibin's rapid growth. He has proven that he can deliver mission critical software and services that millions of users have benefited from. When he's not working, he enjoys hiking, long walks in the sunset at the beach, and assembling IKEA furniture. Erin always dreamed of being a professional word nerd and earned a BA in English (with an emphasis in rhetoric and composition) from the University of Southern Indiana. 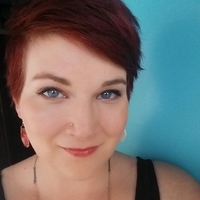 After honing her wordsmithing skills for several years as a writing tutor, copywriter, and editor, Erin began editing for Kibin in the fall of 2013. In 2016, she was thrilled to join Team Kibin full-time and to work more closely with the Kibin community -- both our customers and the editing team. Currently, Erin oversees daily operations at Kibin. When she's not working, she's probably spending time with her family, taking a long walk in the woods, listening to podcasts, or holed up with a book. 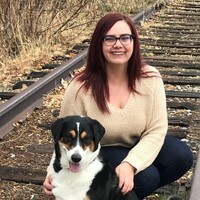 Nikki started with Kibin as a freelance editor in April 2017, a year after graduating with a bachelor's degree in English from Utah State University, where she studied creative writing and philosophy. After just four short months as a Kibin editor, she was hired as one of Kibin's first Customer Happiness Coordinators while continuing to help students perfect their essays -- editing 2 million words in just over a year. 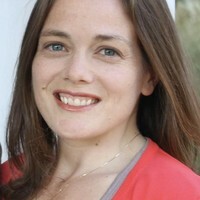 She now oversees both the customer service and editing teams in her role as the Customer Service and Community Manager. A self-proclaimed wandering soul, Nikki currently resides in Phoenix, Arizona, with her dog Philly and a collection of over 40 shot glasses from cities she's travelled to around the US and Europe. Amber joined Kibin as a Customer Happiness Coordinator in October 2018. With a bachelor’s degree in English (professional writing and editing emphasis) from Brigham Young University, many years as both an in-house and freelance editor, and over a decade of teaching group fitness classes, she brings a love for people and improving communication to this role. When she’s not hiking, canoeing, or chilling with her husband and five kids, Amber can be found cheering on her team (the Atlanta Braves), baking, tap dancing, or sewing—ofttimes, simultaneously. Robert has always been obsessed with the intricacies and nuances of language. He earned his English degree from The Ohio State University and brings a diverse career history to Team Kibin. He has worked as a behavior therapist for children with autism, an activities coordinator for seniors with dementia, a proofreader for a copywriting agency, and a financial advisor. 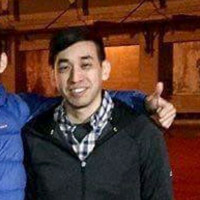 Robert joined Kibin in 2019 as a Customer Happiness Coordinator and felt right at home. 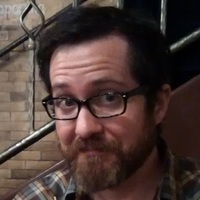 He currently freelance edits for Kibin and has edited at least part-time for over a decade. Outside of work, he's probably in the woods with a pack on his back, returning only when his feet start hurting after a few days. He lives in Winterfell, otherwise known as Minnesota, with his wife and their dog and cat.